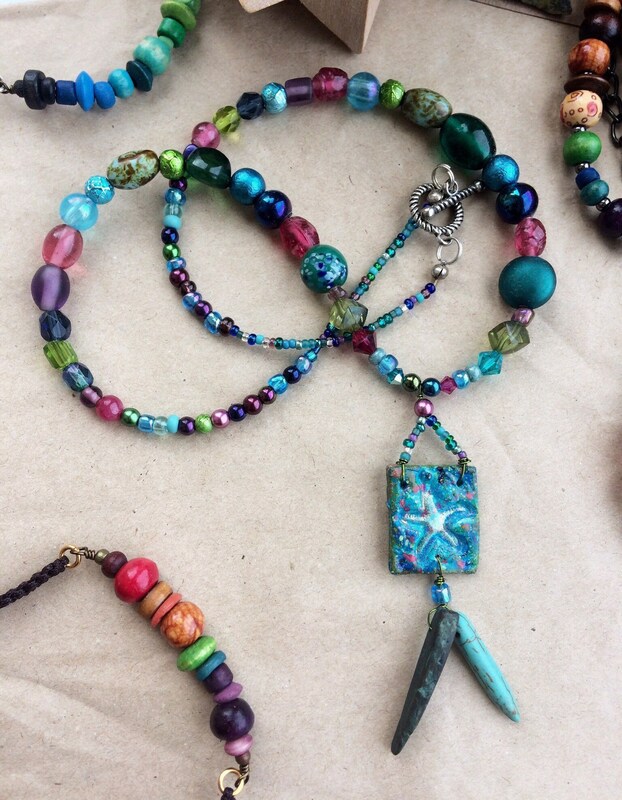 A fun colourful necklace made as part of my mermaid/under-the-sea range. 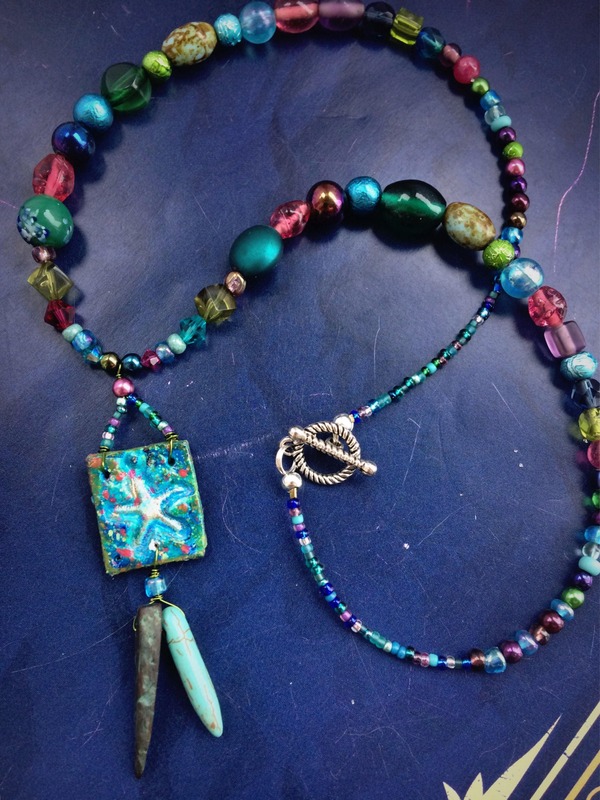 The necklace is strung with a variety of beads in aquatic green, blue, pink, purple and turquoise. 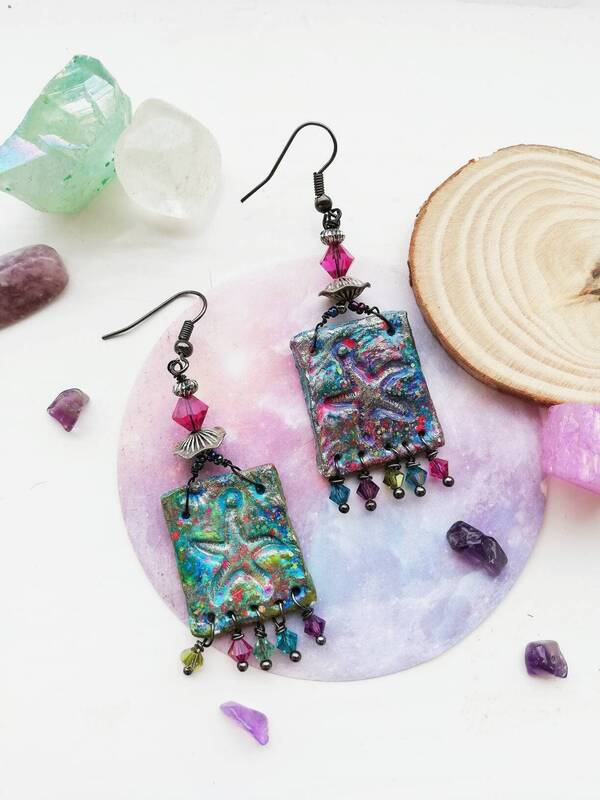 There are a variety of finishes including matte, metallic, iridescent and textured. 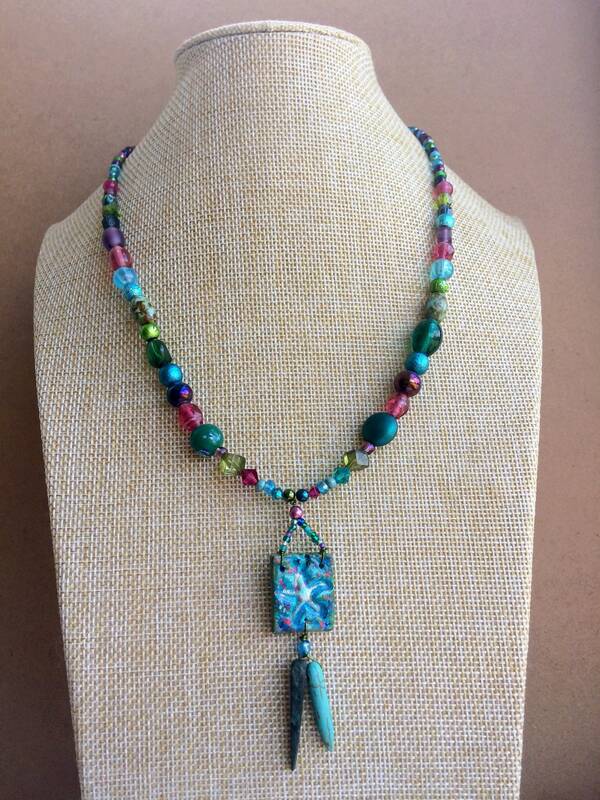 This includes genuine Swarovski crystals, lampwork glass beads and Czech faceted pressed glass beads. 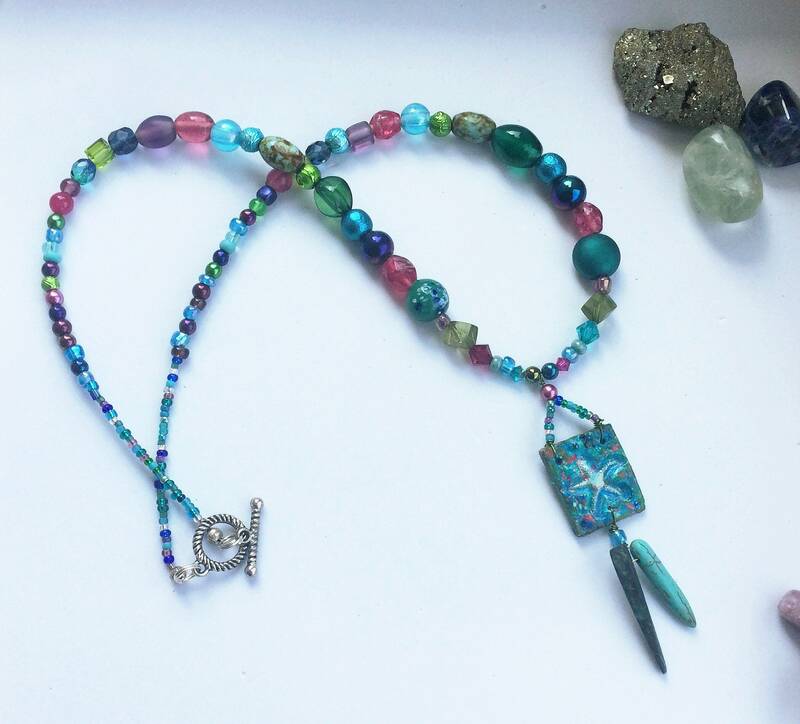 The beads taper in size to seed beads, finished with a silver plated toggle clasp. 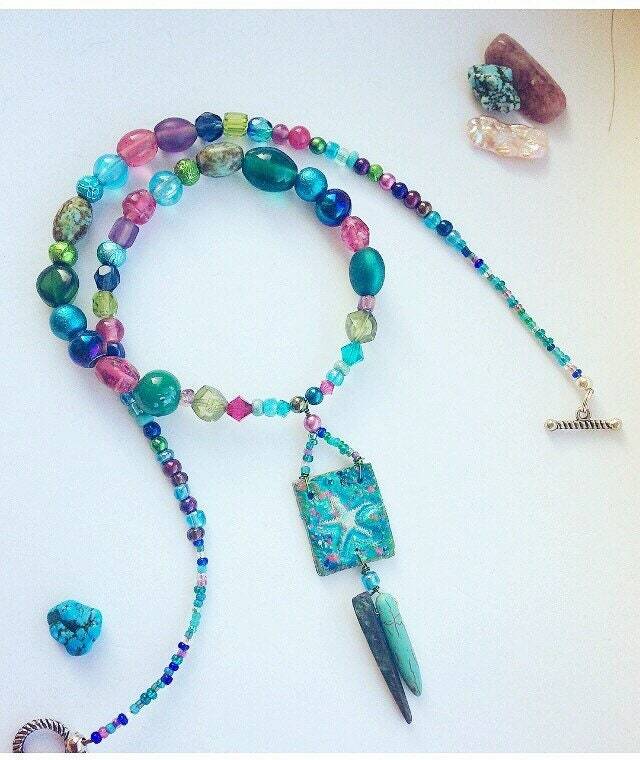 The length of the necklace (excluding pendant and clasp) is 48cm/approx 20" with an extra 3cm for the closed clasp. The pendant is 7.5cm x 2cm and made by me. 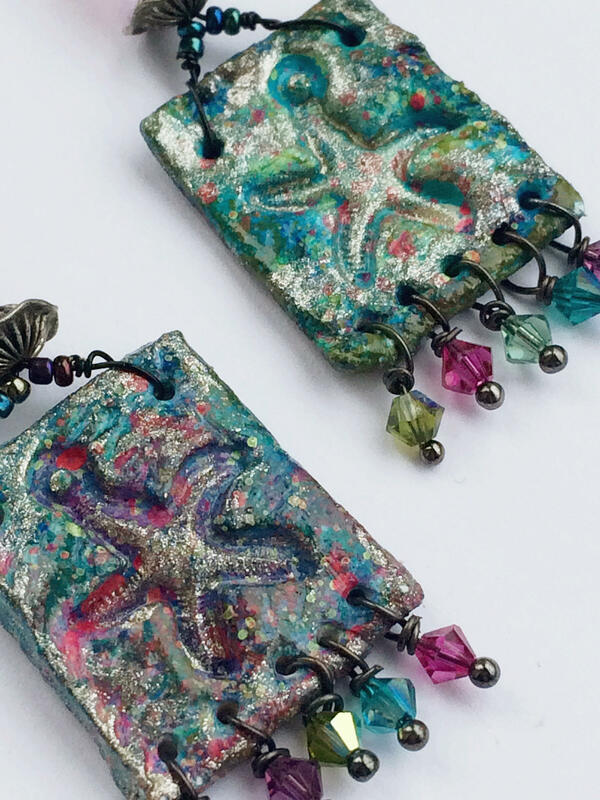 It is made from clay with an embossed starfish design. I then painted this in an array of blues, pinks and green. It is twice varnished for durability (though please read my seller notes about care). 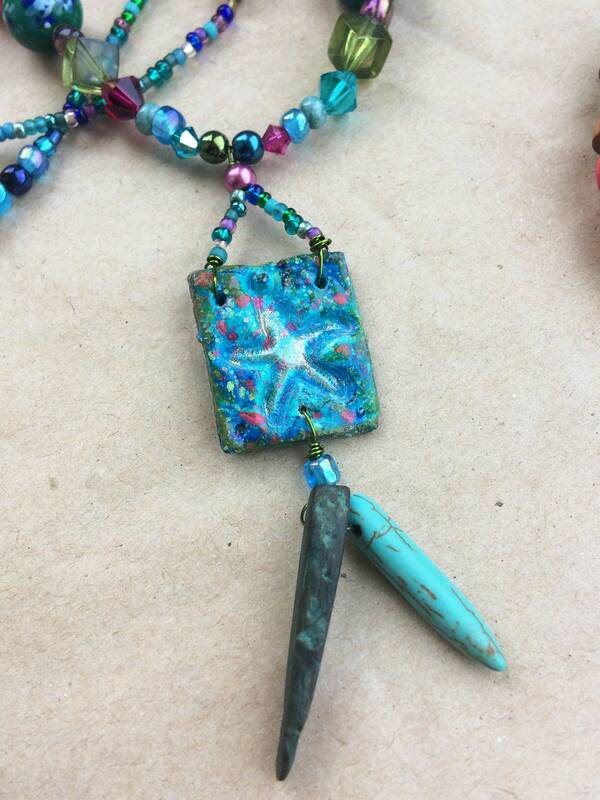 The starfish pendant alone measures approx 2x2cm. 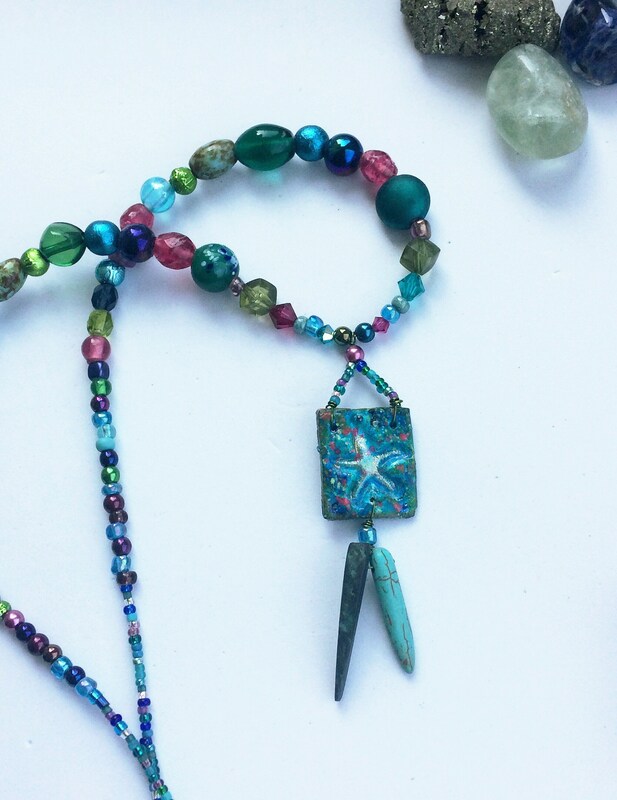 It is decorated with a turquoise howlite dagger pendant and a teal coconut shell drop.The pendant is strung on metallic green wire and the necklace on very strong tiger-tail beading wire.